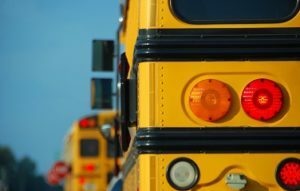 Mom Sues School Bus Company: Does She Have a Case? It is the end of another long school day, and you’re awaiting the arrival of your 5-year old to tell you all about it. But what is your reaction if she doesn’t get off of the bus when you go to meet her? Such is the case for a New York woman who is now suing the bus company for $7-million. Adrena Hartzog says she just panicked when the school bus carrying her little girl never arrived to bring her home on that afternoon. Hartzog says she called the child’s school but was put on hold, and left to wonder. The lawsuit says that her next step was calling the bus company, Boro Transit, who gave her no answers. She then took to the streets searching frantically for little Zariah. Hours later, she finally found her daughter ten blocks from home, crying hysterically in the middle of a busy intersection. “She was crying, she was worried, she was scared. She did not want to return back to the school,” Hartzog says. In her suit, Hartzog claims that the bus company would not cooperate at all. She says they refused to give her the driver’s name, and were very unhelpful. At one point, the company apparently refused to even take her complaint. “No one would cooperate with the woman,” says her attorney, Stuart Shaw, who filed the lawsuit. It has been two years since the incident, and Hartzog says her daughter is a completely different person. She says Zariah is depressed and anxious, and that her friends call her the “lost puppy”. Does Hartzog have a case? What would you do if your child went missing after school?